Tickets for the Home Tour are $25 per person and include tour booklet and access to all properties. Tickets may be purchased online at www.pioneermuseum.net, or by calling 830-997-2835. You can also purchase tickets in our office, or online while making a reservation for December 11. The Marsha and Jerry Bane home is filled with antiques, accent pieces, and – during Christmas – will include antique glass Christmas ball ornaments that have been collected over the years. 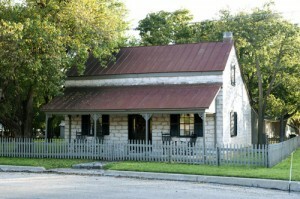 St. Nikolausmarkt – Dec 3-4 Fredericksburg Holiday Home Tour this Saturday!